Although I wrote everything I know about squirrel issues for this website, oftentimes a problem with squirrels in the attic is beyond the scope of the do-it-yourself homeowner to solve. I have found a professional company in Greensboro, North Carolina that handles problems with wildlife. Animal Control Experts, Inc. has access to tools, techniques, and experience that help them do a far better job at wildlife removal than a non-experienced homeowner could. They possess licensing that allows them to do certain types of work legally, that non-licensed homeowners in the state of North Carolina are not allowed to do. For the welfare of your situation, and the squirrels, in some cases it's best to hire a pro. There are good companies and bad companies out there. I've done research on such companies, to get to know them, and feel confident recommending their services. I therefore recommend a company called Animal Control Experts, Inc. which services Greensboro, North Carolina. If you have a squirrel problem, or any other conflict with a wild animal, and live in Greensboro, I am confident that this company, Animal Control Experts, Inc., is the one to call. I asked the company to describe their service range, and they said this - We service the counties of Guiford, Forsyth, Davie and Wildlife Removal USAson, including the towns of Burlington, Sedgefield, Jamestonw, High Point, Summerfield, Oak Ridge, Kernersville, Walkertown, and more. Animal Control Experts, Inc. operates 24/7, so don't hesitate to call at any time to discuss your wildlife problem, and schedule an appointment for same-day or next-day service. Hi David, I googled information about squirrels in my roof/attic and found your website. Unfortunately, I wasn't able to read the information you posted because looking at the photographs of squirrels makes me feel very squirrely. I have a fear of rodent like creatures. However, I do have squirrels nesting/living in my home in Greensboro NC in the roof/attic. Is the most humane thing to do - leave them there until the babies are born, grown-up and they all move out before sealing up any holes in the roof? Can you recommend the best way and or company in my area to help with this problem. I think that you are based in Orlando. and I am here in Greensboro- right downtown. Thank you in advance for your help, Nicole p.s. please do not send any photographs - just textual information. Thanks. Hi David, May I have your permission to post your article on getting squirrels out of attics to my North Carolina Wildlife Rehabilitation's Facebook page please? This is a very informative and educational article and I would like to share it if it is alright with you. It's the beginning of baby season here and we need to get good info out to the general population. Thank you! ValI own a house that the tenant has been hearing noise in the walls of the bathroom. We think it is squirrels but don't know how to get rid of them. My son-in-law thinks that if they are in the attic if someone went into the attic they would go out the hole where they came in at. Then we could close up the place where they are coming in at. The town has said,if anyone has a problem with squirrels they would help them get rid of them, but the only thing they did was furnish us a trap. I'm afraid to close up the place where I think they are coming in at, there might be some left in there and then they would not have a way out. 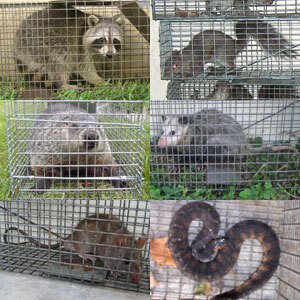 Under Professional Wildlife Removal you listed Carolina Wildlife Solutions, in Greensboro, NC as a good source to contact. We contacted them but had to leave a message and they haven't called us back. Its been about three week since they started hearing the noise. Can you advise us on how to begin? If you have a squirrel problem in Guilford County North Carolina, or any other conflict with a wild animal, I am confident that we can solve it. We use humane methods when dealing with Greensboro wildlife removal situations. Squirrel Control Greensboro. Our company is fully licensed and insured in North Carolina. Call us any time at 336-398-3990 for a price quote and to schedule a same-day or next-day appointment to solve your squirrel problem in Greensboro.